Please pass the checklist on to any family members, friends and colleagues who may have the condition to help us ensure the 2.9 million people with diabetes in the UK receive the care they need to stay healthy. Get your blood glucose levels measured. You should have an annual HbA1c blood test to measure your overall blood glucose control. Have your blood pressure measured. You should have your blood pressure taken and recorded at least once a year. Have your blood fats (cholesterol) measured. You should have an annual blood test to measure your cholesterol level. Have your eyes looked at. You have the right to have your eyes screened for signs of retinopathy every year. Have your legs and feet checked. The skin, circulation and nerve supply of your legs and feet should be examined annually. Have your kidney functions monitored. You should have two tests for your kidneys each year. A urine test checks for protein – a sign of possible kidney problems – and a blood test measuring the rate at which blood is filtered by the kidneys. You should be weighed and have your waist measured to see if you need to lose weight. Get support if you are a smoker. You should receive advice and support on how to quit. Having diabetes already puts people at increased risk of heart disease and stroke and smoking further increases this risk. Receive care planning to meet your individual needs. Receive paediatric care if you are a child or young person. expect so you have a smooth change over to adult health services. Receive high quality care if admitted to hospital. specialist diabetes healthcare professionals, regardless of whether you have been admitted due to your diabetes or not. Get information and specialist care if you are planning to have a baby. See specialist diabetes healthcare professionals. 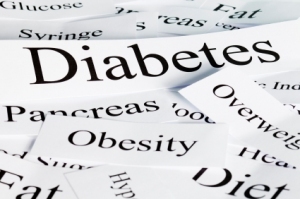 Diabetes affects different parts of the body. To help you manage your diabetes, you may need to see or be referred to specialist professionals such as an ophthalmologist, podiatrist or dietitian. Diabetes UK believes that you should have the opportunity to see a specialist if and when the need arises. Get emotional and psychological support. Being diagnosed and living with diabetes can be difficult. You should be able to talk about your issues and concerns with specialist healthcare professionals. Being happy as well as healthy is really important. I don’t have diabetes but I do have HCV, Hepatitis C Virus. Like they say it is something you have to live with every day. I have to keep working on staying healthy, avoiding bad health habits, picking up new healthier habits and also look for support. I guess in a way your cook book is a sort of support as it inspires me to eat a sugar and sweets free diet. Having the right to good health care is also something I need to keep in mind because it seems that most doctors don’t know much about HCV, so that can be frustrating. I guess what they are saying is that you have to advocate for yourself. I am quite lucky though because I have found good support in the alternative medicine community here in America. Consequently I am pretty healthy now but I know that I need to work more on diet.